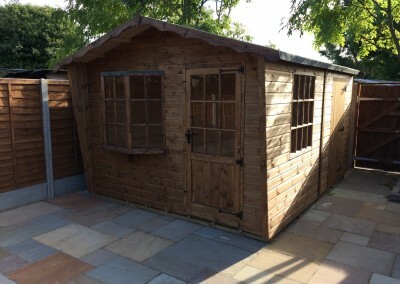 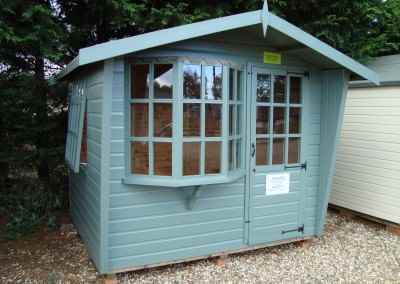 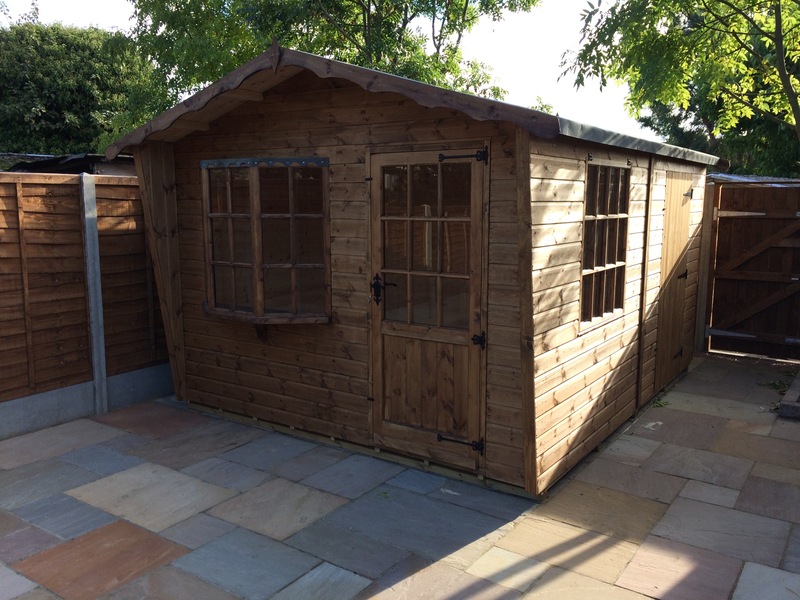 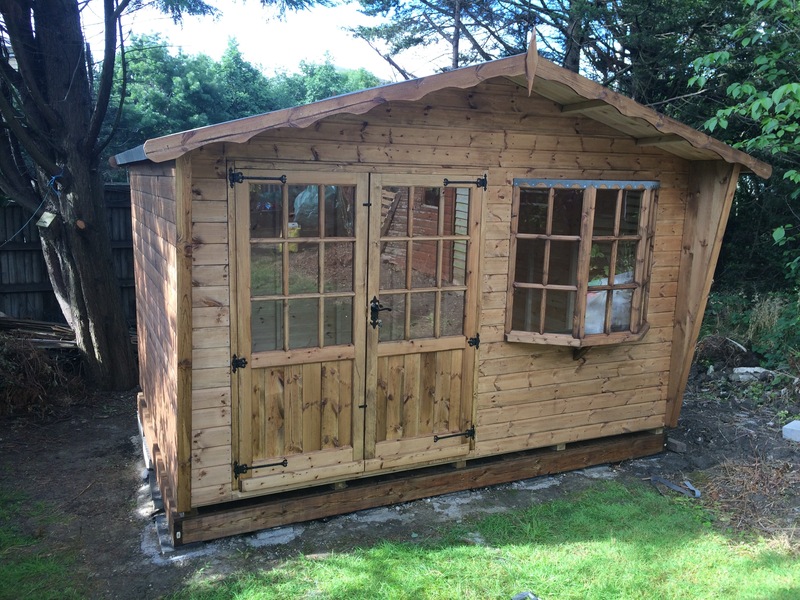 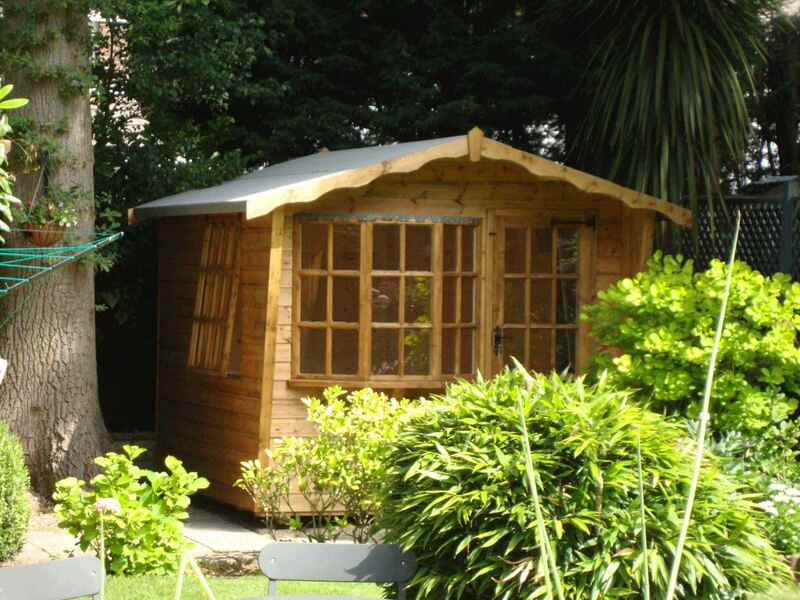 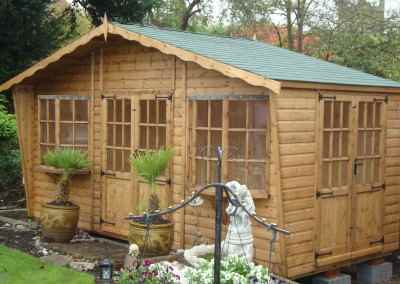 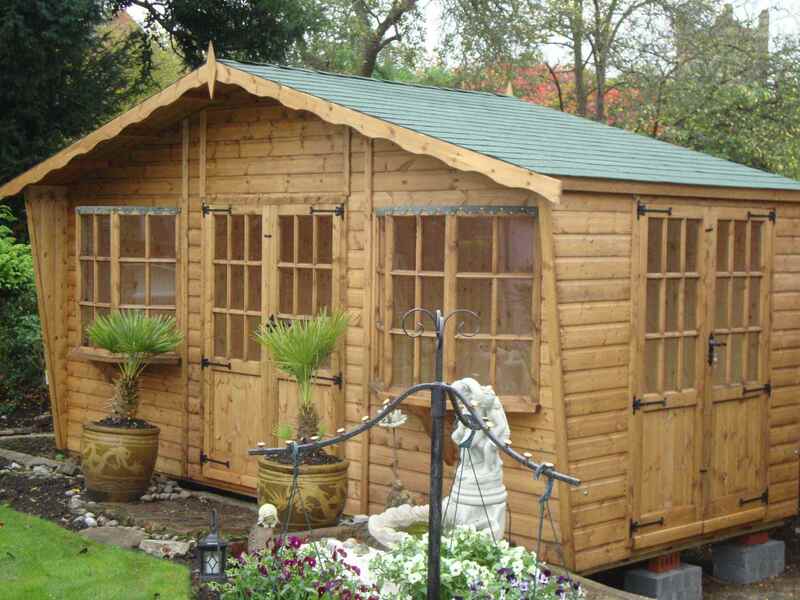 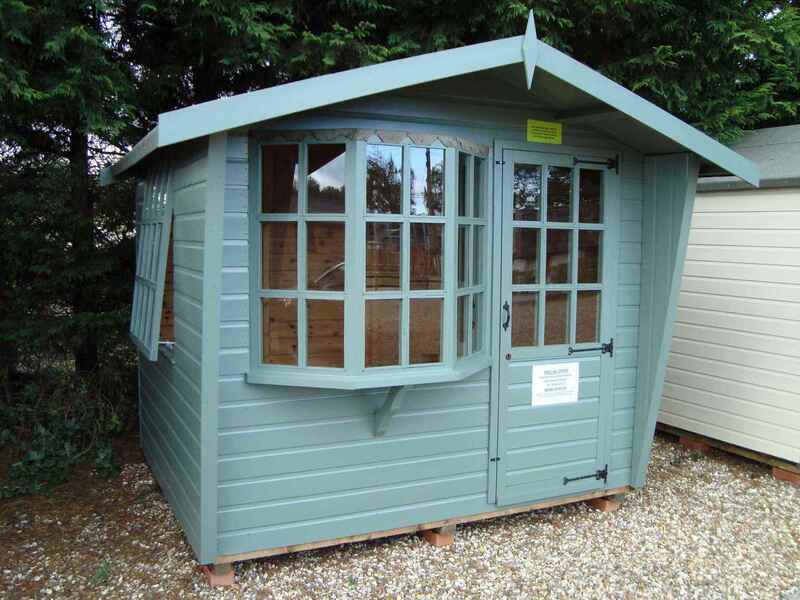 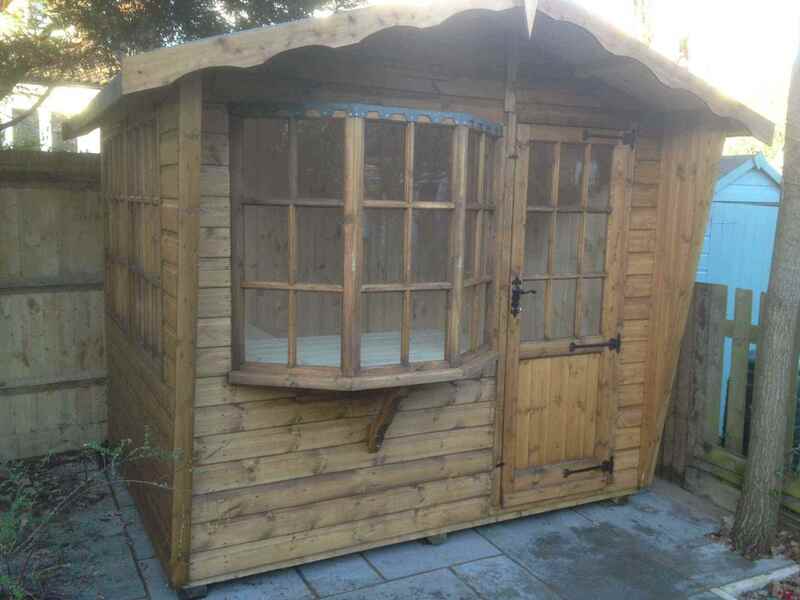 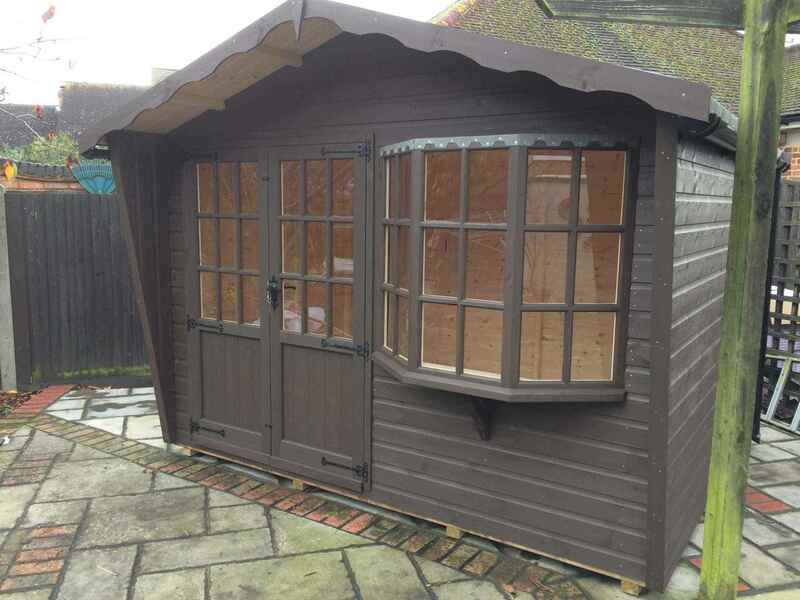 Puttenham Bay Cabin 16×7, Extra Bay Window, 2 Pairs of Double Doors, Green Felt Tiles. 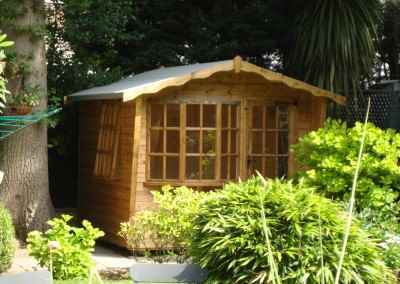 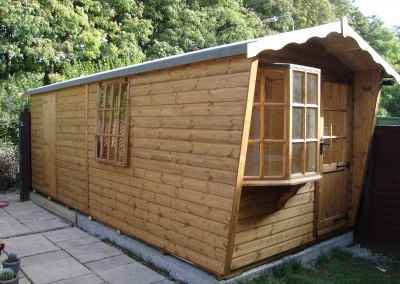 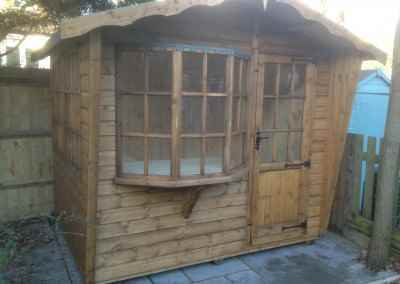 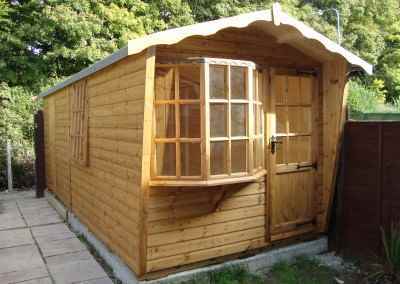 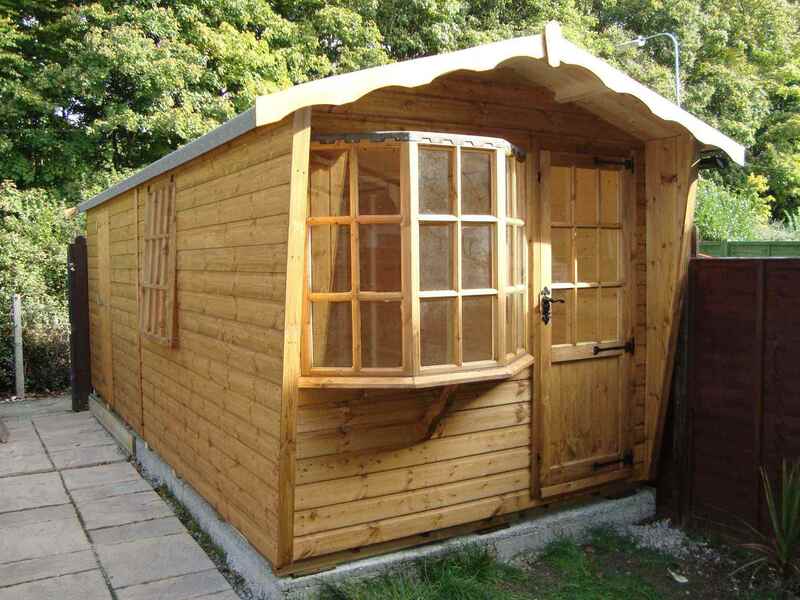 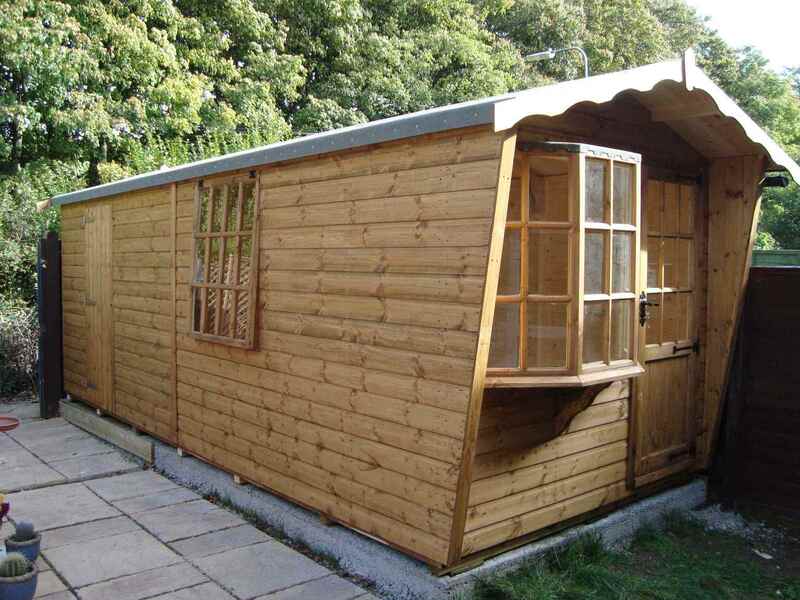 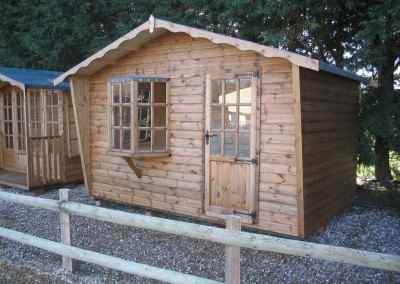 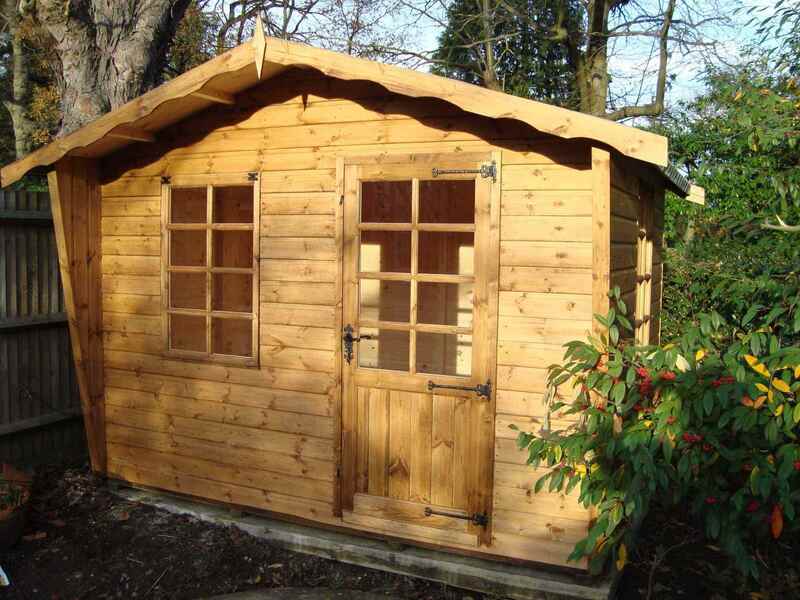 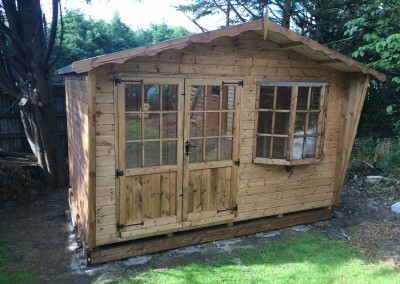 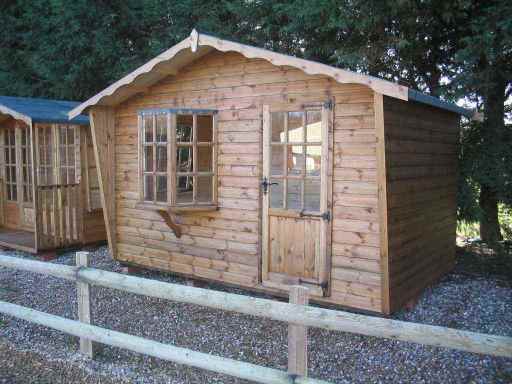 Puttenham Cabin 8×6, Extra Side Window, T&Gv Lined and Insulated. 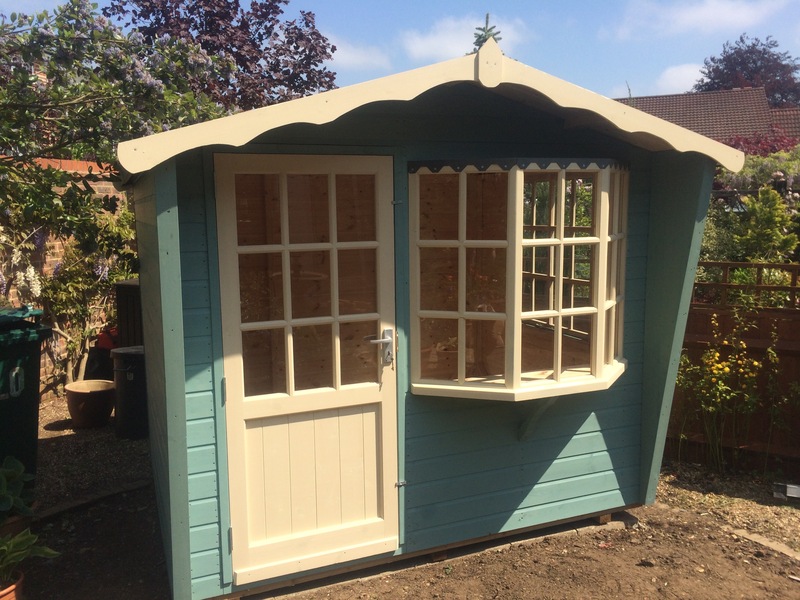 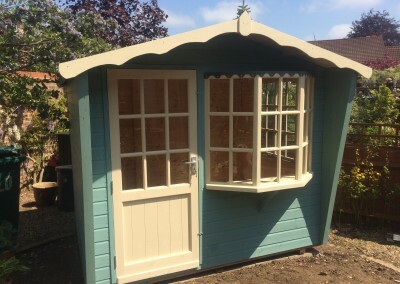 Puttenham Cabin 11×7 with Double Doors, Painted Finish and Guttering.